DIY Credit Repair (Do It Yourself Credit Repair): Is It Worth It? Let’s face it, not everybody wants to fix their credit report on their own. It is time-consuming and sometimes, an emotional process for many consumers. Reliability is the lens many consumers use to look through, especially when it comes to financial issues and sensitive information-like fixing their credit and their identity. Can you fix your credit by yourself? Of course, yes! But is it worth the effort? Here’s a breakdown of DIY credit repair. At the end, you will understand why you should go for it, or why not. You can get your credit report from the credit bureaus in Australia, for free (once a year). You can also save more by making a dispute all by yourself, because it does not cost a thing. In fact, as a consumer you have the right to accurate and correct information in your credit file. So, the moment you see items which do not belong to you in your credit report, or accounts which have already been paid, but still appear as unpaid, you can immediately notify the credit reporting bureau. They will ask for certain documents, along with your letter of dispute and conduct an investigation. It usually involves requiring the information provider, like a mortgage company or a car insurance company that provided the information in question to investigate whether or not you have a valid claim. If the investigation proved that your claim is valid, the information provider will inform the credit bureau which will automatically update your credit report. All other credit reporting companies will be notified of the correction. Doing the work yourself means getting the benefits of repaired credit while eliminating all the service costs of hiring a credit repair agency. Many DIY’ers can get their credits repaired with flying colors. 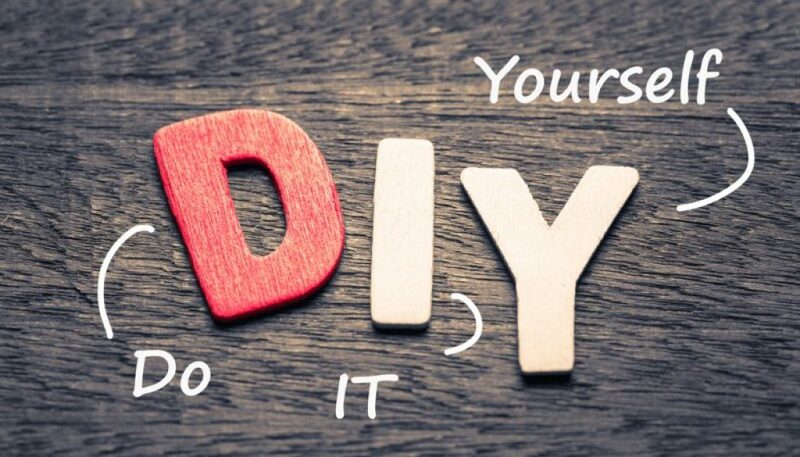 Are you a DIY aficionado? Perhaps that judgment on the record, identity fraud or loan defaults are a little out of your capacity and take too much time to dispute. After all, fixing things by yourself may be fun, but preparing the document, analysing what went wrong one by one can be a very time consuming process, not to mention dangerous when money and public record is involved. Hiring a reputable credit repair agency may be a smart investment once all things are well-thought-out. If you want to save an incredible amount of time—hire credit repair professionals like us at Clean Credit to take on the job. You will be impressed as you watch pro-credit fixers do a number on your credit file. You might need a loan today, but your credit score is so low, that it is almost impossible to get a fair deal. The credit repair agency will assess your problem, and in a few hours, you already know what went wrong. Perhaps, you missed your utility bills, you failed to repay a past due mortgage, or you have been a victim of theft. If you need help in fixing your credit because you are under time pressure to have it corrected, it’s imperative that you hire credit repair pros. The good news is—you can actually repair your credit score all on your own, if you have patience and determination to do so. Here are six practical steps towards fixing your credit. Get copies of your complete report from all the credit bureaus. They will freely give you a copy once a year. By figuring out where you stand, you will know how to deal with your credit issues. In fact, you would never understand why you have low scores unless you analyse the data in your report. Your utilisation, credit history, payment history, credit inquiries and types of credit have something to do with your score. Dispute the errors you find. Contact the source of the information-like the insurer, lender, or utility company that provided the information. You can also write a dispute letter directly to the credit reporting bureau which will investigate on the issue and correct inaccuracies in your credit file. Stop overspending. Pay your bills. In short, do a damage control, if you have been losing scores rapidly, stop where you are and control any urge to overspend or to open new credits. Deal with the errors in your credit file, pay down debts, especially that piece of plastic card. Cut it if you can, especially high interest credit cards. So, is DIY credit repair worth it? It depends. Contact Clean Credit to learn more about fixing your bad credit. Or you may be interested in our DIY Credit Repair Kits where we provide step by step guides on repairing credit for different types of defaults.